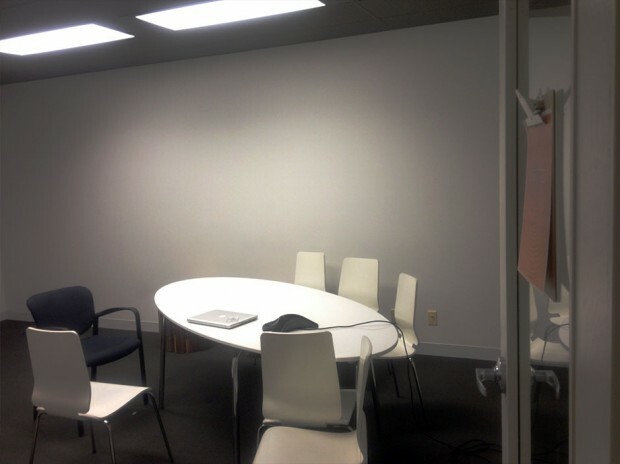 A plain, white walled conference room at HootSuite headquarters. Sandy and Steve saw the opportunity for this room to be much more. First step: coming up with a theme. How do you come up with the perfect theme for a completely empty room? 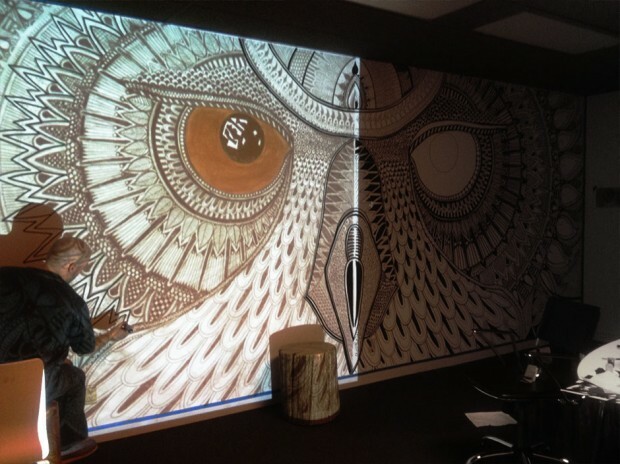 Sandy and Steve looked at what/who HootSuite is as a company and as a culture. They were looking for “the perfect balance of intense singular passion, fear, excitement, unknown, and intensity.” Here is Sandy and Steve’s story of how this beautiful mural came to life. “It’s not everyday when we can say we’ve just experienced a moment of clarity; those moments which both stick to your soul and help form your future. Back in 2010, when my husband Steve urged me to make the life-changing decision to move our entire lives to Vancouver from Toronto – something different happened than anything we had ever experienced together before. Step two of creating a beautiful mural: making an accurate scaled sketch. This is extremely important if you are going to enlarge your drawing onto a larger canvas or wall. 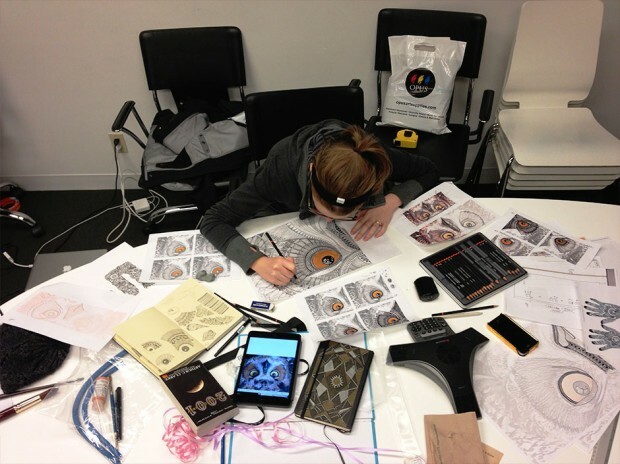 Here is Sandy working on sketches (looks like quite a lot of work). One day – a day no different than any other – we made our way into the interior trails of the city’s downtown Vancouver greenspace, Stanley Park. Little did we know that nature was able to treat us to one of those awe-inspiring moments; one would leave an incredibly lasting impression on both of us. Step three? Put it on the wall, and get ready for hours of painting. Steve working on transferring the original sketch. Preached fearlessly on a branch not more than five feet away from our faces, sat a full-sized, male, Great-Horned owl staring at us motionless. It’s graceful beauty captivated our imaginations and sent us soaring into a state of wonderment for minutes – until eventually he took off in flight, never to be seen by us again. Image credit to GWilli. Check out more of his wiggly goodness here. Android: 640×960 / 480×800 / 480×640. We’ll be adding even more wallpapers to our media page, so make sure to keep checking back for updates! 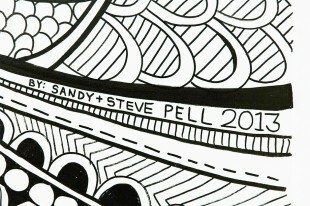 A huge THANK YOU to Sandy and Steve Pell. Without their talent, passion and heart, our offices would have never been transformed into such a creative space; one that sparks inspiration for all. Keep an eye on our blog to see more featured artists, news, updates, tips and more.